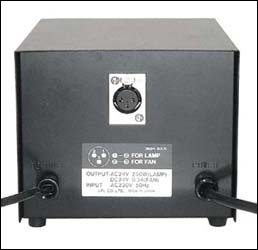 Replacement power supply for LPL 7451, 7452, and 7452L 4"x 5" enlargers in markets with 220V power grid. For use with 200W and 250W 24V lamps as specified for those enlargers. Input: 220V 50Hz. Supplied with "CEE 7/7" electrical plug.